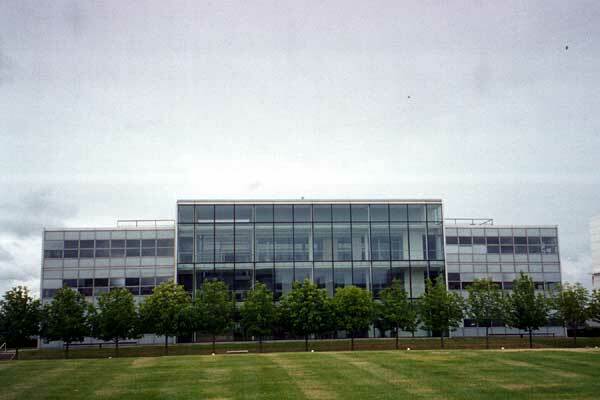 Edinburgh Park was masterplanned by Richard Meier of Richard Meier Architects (with local assistance by Campbell & Arnott) from 1993. 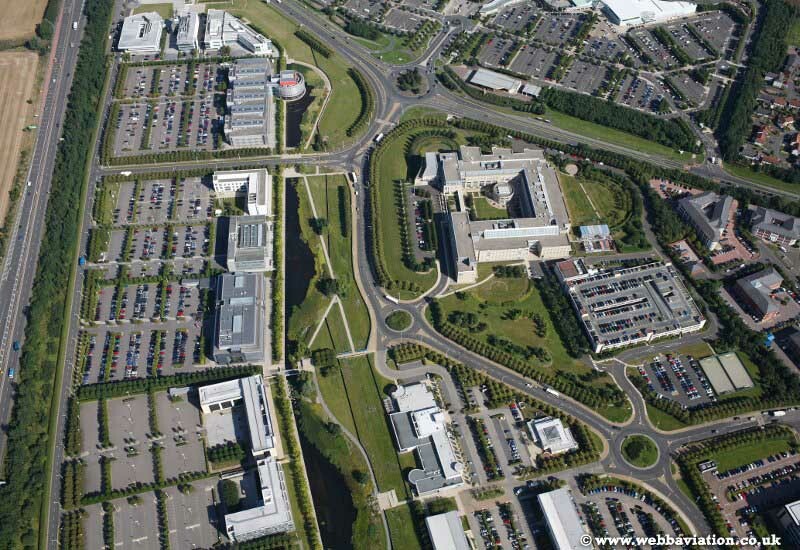 This edge-of-town Business Park – formerly ‘Maybury Park’ – at the South Gyle at times feels barren and unfriendly despite good efforts to introduce landscaping. The new, western section includes some good buildings and good landscaping. There is an unfortunate preponderance of lacklustre ‘commercial’ buildings from the eighties at Edinburgh Park and even the ‘published’ buildings suffer from a Janus-type problem (along the main North-South strip) with the public arriving at the East façade beside the attractive lochan only to discover that they must go round the back to gain entry. The distasteful expanses of car park may be a thing of the past as recent Edinburgh Park masterplans show a much higher density with interesting attempts at urbanity, by Allan Murray Architects, CZWG Architects (Piers Gough) and Gordon Murray + Alan Dunlop Architects. 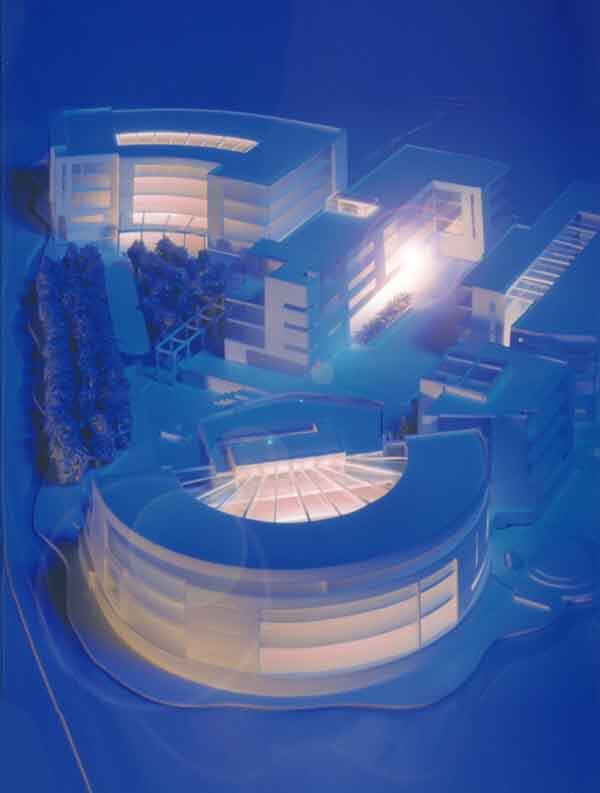 More positive action came in the way of a Design Competition for the G4 site in Summer 2001. 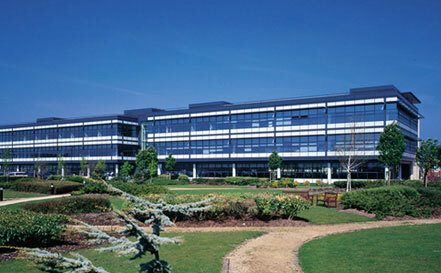 The southern extension of this Edinburgh business park – Edinburgh Park Expansion Phase 2 – was announced in October 2001. The most visible site in the Park has been re-designed from Meier’s original vision with a much higher density. 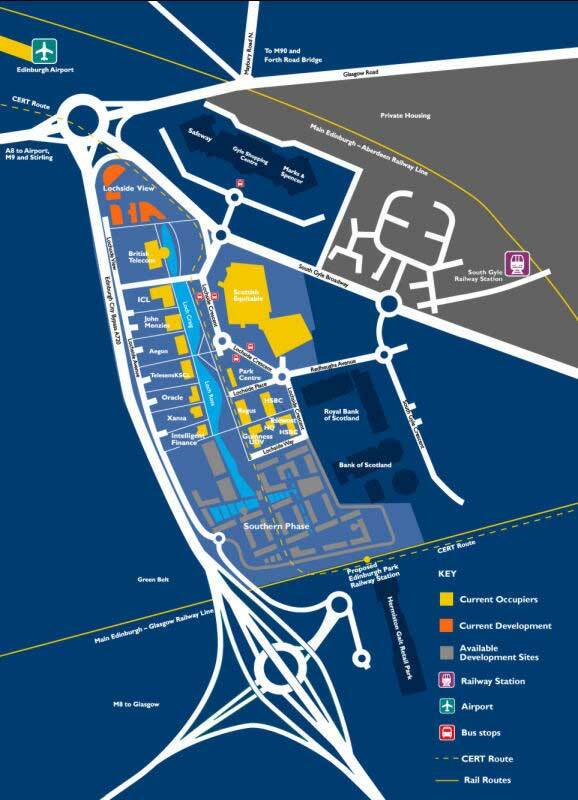 There are less ugly surface car parks (now almost all underground) but no City of Edinburgh Rapid Transport (CERT). This ‘tram’ system was to stop here on its way from airport to city centre and back again, proposed in 2000. 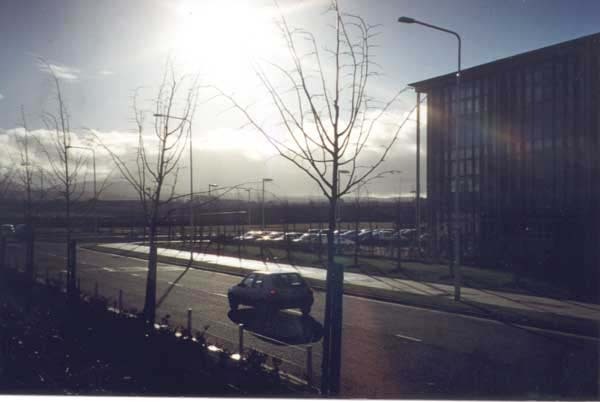 Buildings A1 (facing the Gogar roundabout), A2 (adjacent to BT Building), and the small A5 pavilion by the lochan all by Allan Murray Architects (original model above). buildings, currently occupied by Royal Bank of Scotland.